Since our heroes are defeated and no more, let's direct our attention towards the villains! Remember the witches' first appearance? Don't forget to swing by my tumblr, where I post other super-hero related stuff like drawings of classic Marvel characters. 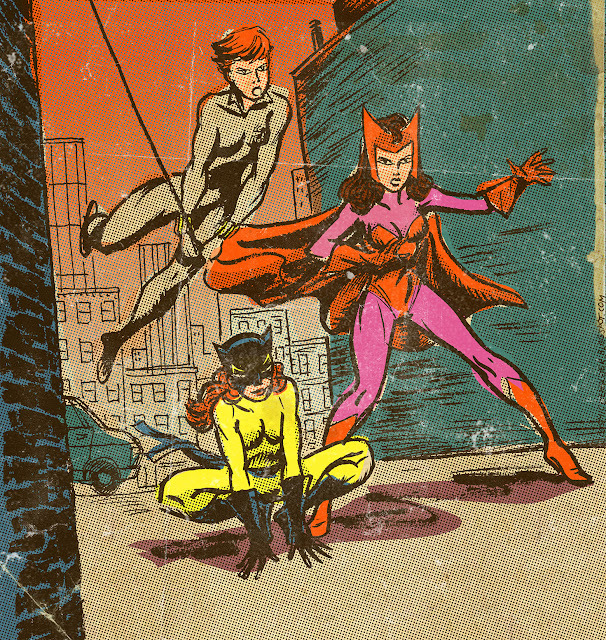 Here's one of Black Widow (in her 80s costume), HellCat and Scarlet Witch, you can see it on tumblr here. 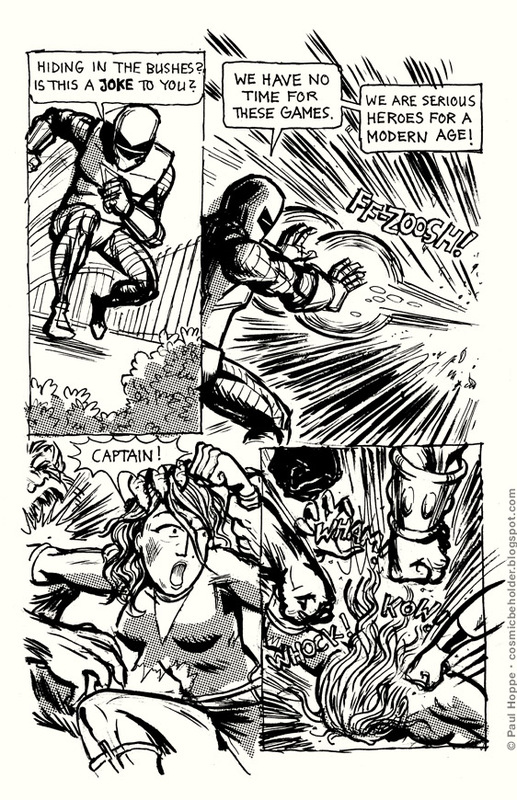 And thus, ends the story of Captain Evening and The Odds. 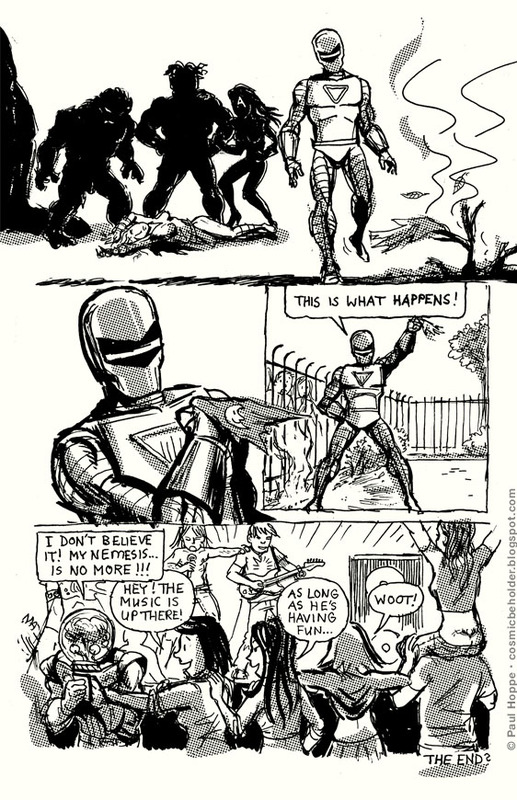 XYZ-2 has apparently no sense of humor at all. The Odds are deciding on a desperate last measure. 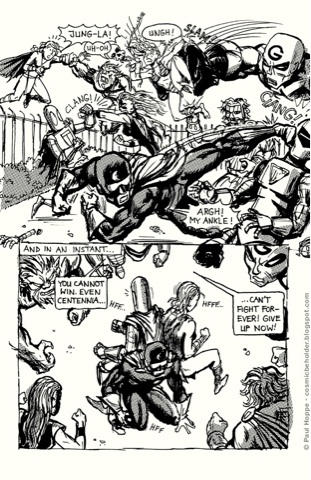 But lo, Captain Evening's escape doesn't elude XYZ-2's electronic eyes! The original Agents Of Atlas was a great series that got me interested in comic books again. 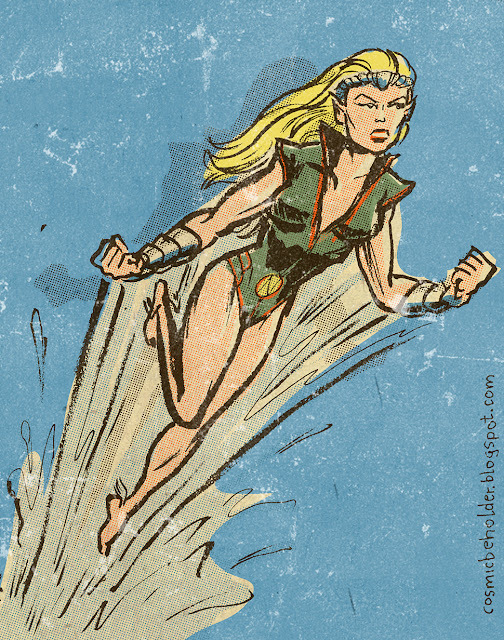 Here's Namora, the Submariner's cousin. And just like that, things have gotten very dire for our friends!